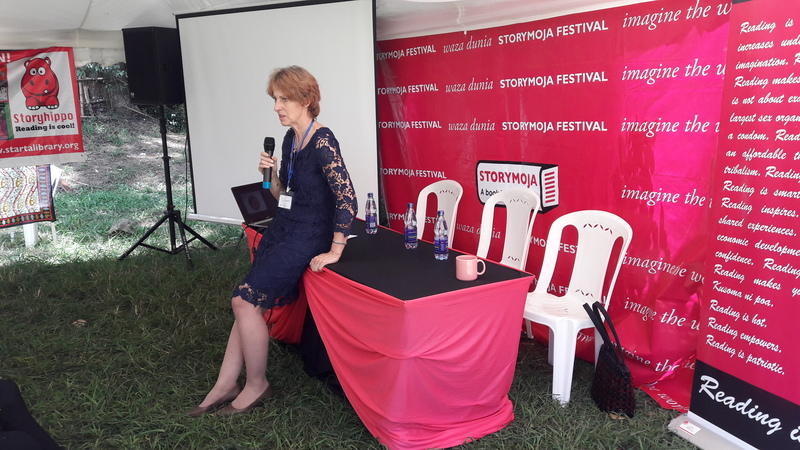 The Storymoja festival was in high gear at its new venue the Nairobi Arboretum. This blogger attended the Thursday press conference then landed at the festival on Saturday with my son and his school friend. One of the signature stands for the festival is the Science Stand which my boy loves to bit; it wasn’t there which was a disappointment for him. We were there from 10 in the morning so within a couple of hours of having nothing to do I had to call my cab guy and have them dropped off back home. They would not be seen at the festival again. Away from this little hiccup things were looking up. I met many people I have been seeing at festivals I have been attending in recent times from across the continent. The thing about these writerly types is that they are very cool people so I knew that I was in for a good time. 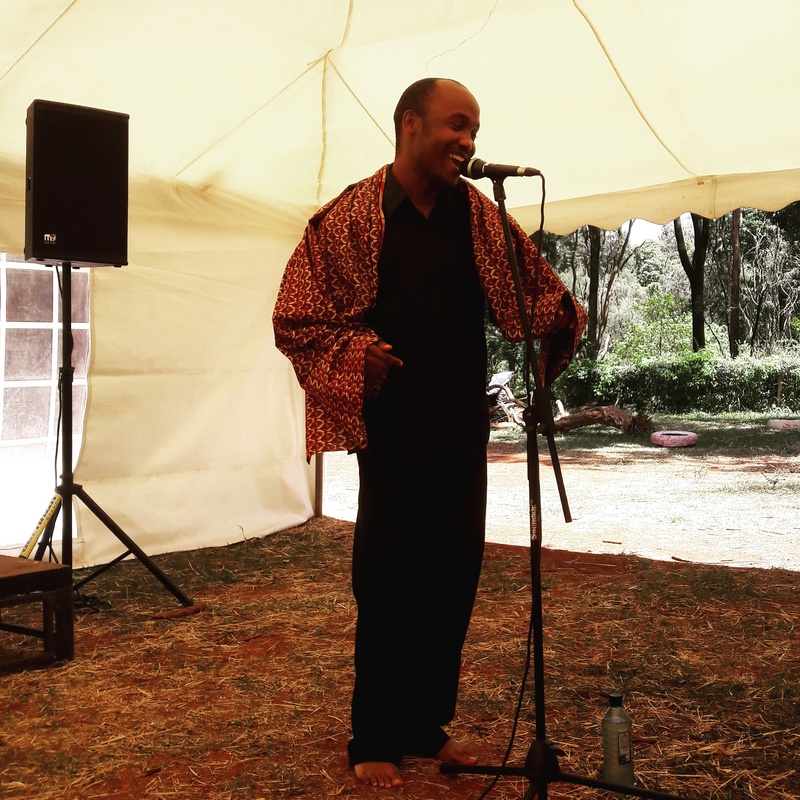 Donald Molosi, one of my favourite people from Botswana, which isn’t that difficult as I only know a handful, started off the festival for me with a performance from his one man show “Today it’s me” which I first encountered at the Writivism conference in Kampala. The show, for the uninformed, is about the late Ugandan musician and anti AIDS activist Philly Lutaaya. After the performance, there was a panel moderated by Kenyan writer Ciku Kimeria. My next stop was in another tent where I listened to UNEP chief scientist Jacqueline McGlade give the Wangari Maathai Memorial lecture. Unfortunately I got there late so only managed to get there for the Q and A session after the lecture. From what I heard, the good doctor articulated environmental issues very well. My morning experience was to be replicated as there were so many amazing panels, I had a problem deciding which to attend. For instance the launch of Borderlines by Michela Wrong moderated by the legendary John Sibi-Okumu occurred at the same time as the double launch of the Boda Boda poetry anthology and Harriet Anena’s poetry anthology A Nation In Labour. I opted for the former because well, John Sibi-Okumu. Also I am a huge fan of Michela Wrong and her nonfiction; I was interested in knowing her thoughts as she enters the murky and make believe world of fiction. It was an illuminating event with folks bashing the good author on her failing to name names or rather name countries in her new book. I’m looking forward to reading it. In the afternoon, I tried to do two must attend events that were running concurrently. I started at the “Why Prizes matter” panel which featured this year’s Caine Prize winner Namwali Serpell, Lizzy Attree the director of the Caine Prize and Ogochukwu Promise from the Lumina Foundation who curate the Wole Soyinka Prize for Literature. 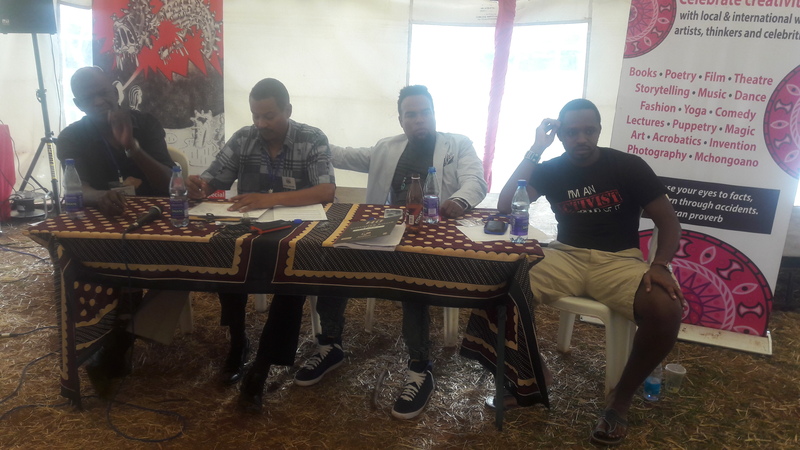 Also on the panel was Beverley Nambozo who founded the BN poetry prize in 2008, 2015 runner up Sheila Nyanduaki Okongo and the Hargeysa Cultural Centre’s Jama Musse Jama the organisation behind the Hargeysa International Book Fair. This panel was moderated by Kari Mutu and Ciku Kimeria. 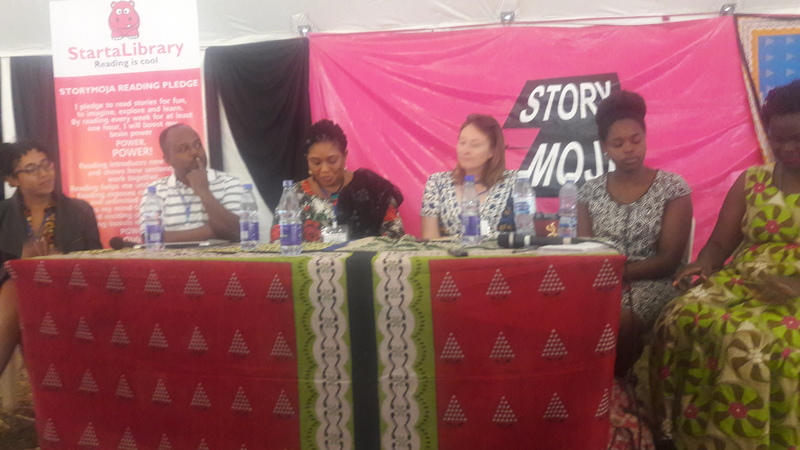 During the discussion, Namwali explained that the reason she shared her award money with the other shortlisted writers was because she did not like the idea of writers competing. As a tenured associate professor in the US, she felt that she was financially comfortable enough to make this move which she wouldn’t probably do again. Oh, she also assumed that this would be done quietly. Lizzy Attree informed the audience how the Caine Prize had changed writerly lives since it was first handed out to Leila Aboulela in 2000. She also talked about the Mabati Cornell Prize for literature in Swahili that she co-founded and how it was received when it was launched at the Ake Festival last year, and the fact that it has encouraged other people to consider setting up literary prizes for writing in other African languages like Yoruba, Igbo and Hausa. Ogochukwu Patience told us the Wole Soyinka Prize for Literature was started because Nigerian writers were only being recognized abroad and the need to start a local initiative. She spoke to Nobel Laureate Soyinka, who incidentally was in town last year, who accepted to lend his name to this prize. The prize which is biannual sees US$20,000 given to an African writer. One of the most colourful presentations had to be from Beverley Nambozo who told us how a prize that was in her mind started in 2008 for Ugandan women writers went on to become one of the most sought out on the continent for poetry with a couple thousand entries. This is one of the fastest growing poetry prizes on the planet with two anthologies already out. Very cool. On his part Jama Musse explained about the prize that his organisatin had come up with to help ensure that there was more writing in the Somali language. Apparently there were only a couple hundred documents in the Somali language in the world and this was aimed at arrest this shocking state of affairs. 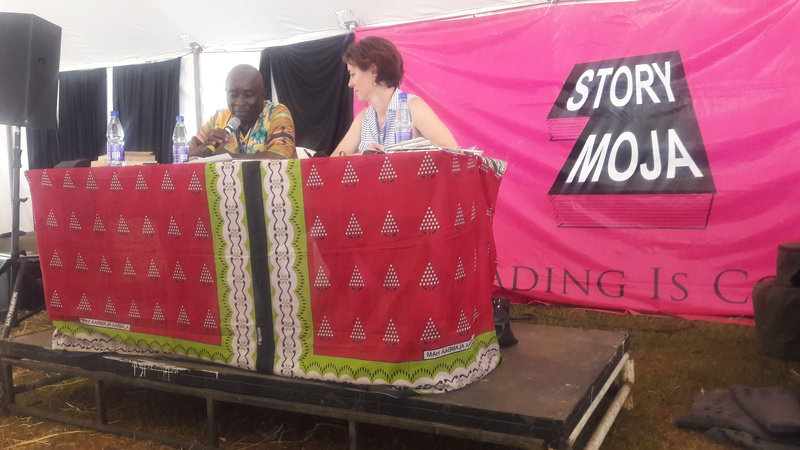 The discussions were really heating up but I opted to leave and head to another tent to enjoy the event on “The Future of Men.” The session moderated by Irungu Hougton this year discussed the place of men in a rapidly changing world. This panel included photojournalist and activist Boniface Mwangi as well as writer and teacher Clifford Oluoch who has made his name with the Homeless of Nairobi and this years resident African American Troy White. As you can expect I missed the initial submissions and was in for the Q&As and here I saw people like Oyunga Pala and Chris Lymo who was recently married to a local academic speaking about the challenges of being a man in the world of today. These folks can make a man want to be a real man. There were other events on the day like the Writivism Chain Story where participants would participate in a challenge in making a story move along. This blogger however, had to see a man about a dog.